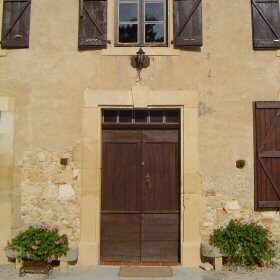 Luxury holiday farmhouse in the Midi-Pyrenees, France: getting there. The nearest airport to Esbayles is Toulouse (50 minutes); it’s serviced by a number of airlines from a wide number of UK airports. The next choice would be Pau (75 minutes) or Carcassone (90 minutes). Although we’ve never driven ourselves, we’re told it is a 10 hour drive from most of the ferry ports. Best route is straight down the middle! Car hire is plentiful. Prior to your departure we’ll send you directions from the airports. Change over day is Saturday; your rental begins at 4pm and ends at 10am.